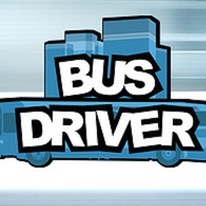 In Bus Driver, your job is to transport passengers around an attractive and realistic city. You must drive to a timetable on a planned route, whilst obeying traffic rules, and taking care not to upset or injure your passengers. This makes Bus Driver unlike any other driving game - the experience of driving a bus is very different from blazing through a racing circuit. Bus Driver offers twelve different kinds of buses to drive, an expansive city environment with various districts, and thirty routes with varying weather conditions set at differing times of day.